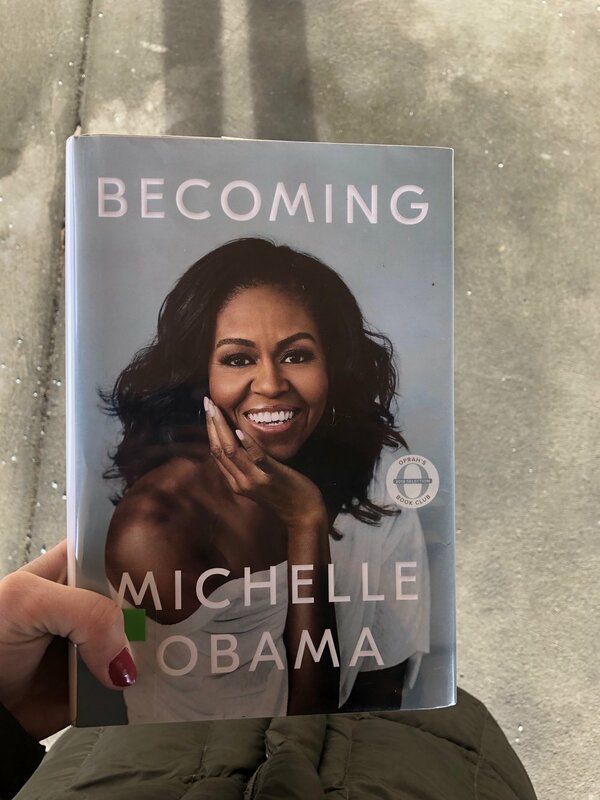 Feature Friday: Michelle Obama's Becoming Book Review! I really enjoyed Michelle Obama’s book Becoming. I thought that it was so well-written and wasn’t softened down at all. She really does tell it all and I loved how she used words that I had never before heard (i.e. I had to look them up in the Dictionary! )- I feel that it’s extremely rare when you read something these days and have to look up a word that’s used (or maybe that’s just me and the normal types of books that I read). There were so many similarities that I found between her life and mine in her book and I especially loved one thing that she really continued to draw upon- we are planting the seeds to our life, but then we just need to sit back and watch them grow. —> I LOVE thinking of everything in my life this way and it really helps take a lot of the pressure off of everyday things that are ‘out of our control’ (same with running). If we’re putting in the work necessary for the seed to grow, then all we can do is continue to nurture it and wait. I also thought how fitting it was how much she talks about her love for Chicago- I may need to read this book again right before I run the Chicago Marathon this year. It did get me really excited to see if the marathon passes by any of the major icons she mentions in her book (or in the neighborhood where her and Barack lived?!?). Another book that really tied into my running choices this year (Shoe Dog by Phil Knight was the tie to Eugene/ Eugene Marathon last Fall for me). Another weird connection that I found out pretty immediately in her book- is that her father had MS. This is the second book that I’ve picked up (without knowing) that the author has a very personal connection to MS. She discusses the impact of his MS so well and I could relate to so many of the situations she describes (along with both her fathers’ feelings about the autoimmune disease, along with her views from the outside). She does such a wonderful job tying in how she became First Lady, but also doesn’t sugar-coat it. She very plainly describes how difficult it was in certain situations to be in the limelight and how she came from a very typical middle class family, but was able to seek every opportunity that was presented to her. Another big take-away that I took from her book and one that I want to start implementing into my life —> how connections that she made helped open up doors (professionally) to both her and Barack. You never know who may meet that could help you later on in life! Have a great weekend and let me know your thoughts if you also read her book! I’m getting my long run in this morning (12-15 miles) and will hopefully get on the ski slopes one of the two days this weekend.